All about Dabble subscriptions and how to manage them. Dabble is a subscription-based product that provides ongoing services and regular updates. Learn more about why Dabble is subscription based. New customers get a 2-week free trial and are not required to enter any payment information before using Dabble. Once the trial is up, if no payment has been added, the subscription will become inactive and Dabble will go into read-only mode. 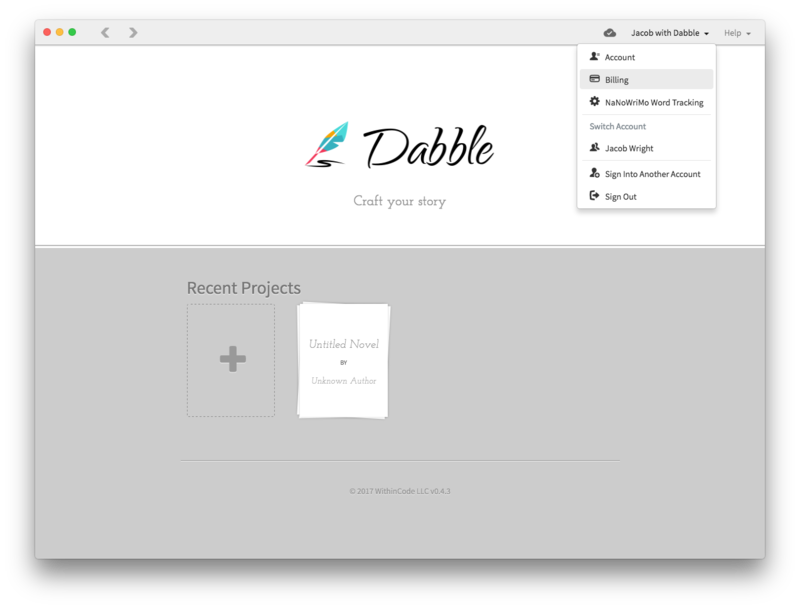 You can still log into Dabble and read, view, and export your novel without an active subscription. You just won't be able to write. Active subscriptions are prepaid. You must add a valid and current credit/debit card. You will be charged once your free trial is complete and at regular intervals afterwards until you cancel your subscription. When you request to cancel your subscription Dabble will cancel it at the end of the billing period. If this is not what you want, ask support to take care of it sooner. Dabble only accepts credit and debit cards at this time. PayPal and other options are not available. Dabble provides 2 months free when you pay yearly instead of monthly. Simply change plans to the yearly plan. 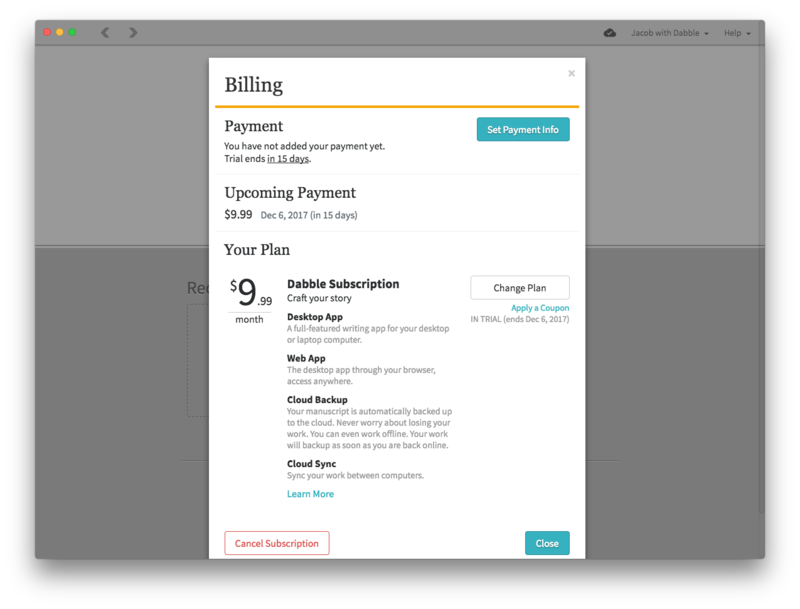 To see your current plan, your upcoming bill, your trial end date, and other information about your subscription, open the billing screen in Dabble.